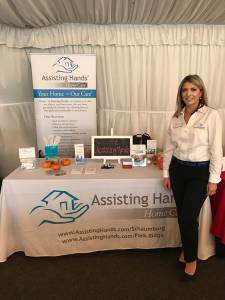 Assisting Hands was proud to be a vendor at the Annual Wellness Experience for Seniors event sponsored by Friendship Village in Schaumburg. 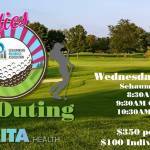 The event featured a vendor exposition, educational sessions, a keynote speaker, lunch, and free raffles and giveaways. 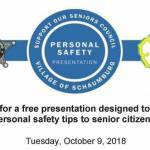 Sponsored by Friendship Village in collaboration with Elderwerks Educational Services, The Wellness Experience was held at The Stonegate Conference and Banquet Centre in Hoffman Estates. 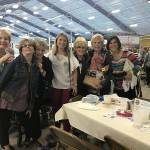 The exposition featured more than 25 vendors focusing on products and services for older adults. Friendship Village is a leading Life Plan retirement community offering independent living garden homes and apartment homes, as well as assisted living, memory support, skilled nursing care, and short- and long-term rehabilitation services. For more than 40 years, Friendship Village has been providing Chicago area seniors with exceptional retirement living options. 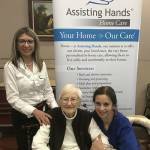 Assisting Hands is a home health care agency in Schaumburg, IL that provides a wide range of in-home and elderly care services for senior citizens and individuals with disabilities. In-home senior care is now recognized as the more beneficial option for the health and well-being of senior citizens as they age. To learn more about our home health care services, or to schedule an appointment, call us at (847) 915-6186. We operate in the Chicago, IL area, and look forward to meeting you soon!